We invite you to explore and travel back into our mining history with a unique visit to Bodie Historic State Park which is the best-preserved and most authentic ghost town in America. We will also travel to Virginia City where a mining boomtown developed overnight with the Comstock Lode silver strike of 1859. We will visit many historic sites including, The Silver Terrace Cemetery, Comstock Gold Mill and Piper Opera House. This workshop provides a great opportunity to develop your personal style, enhance your creativity, refine your photographic vision and improve your technical proficiency as we surround ourselves with remnants of the old wild west. 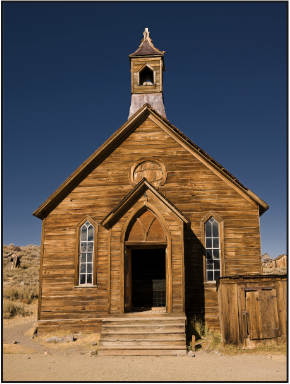 We are offering an exciting four hour, ranger led, private tour of Bodie that allows us access to many of the interiors not available to the general public. In the Comstock area, we will introduce you to the amazing graffiti walls of the American Flat Cyanide Mill for a truly unique mining site - in 1925 it was the largest concrete structure built by man and visible from Earth orbit. We will also spend sunrise among the spiral tufas of Mono Lake and discover Chemung Mine along our travels. Day 1 - Sunday: Meet in Lee Vining at 4:00 p.m, please arrive promptly, for orientation and lecture. Day 2 - Monday: We leave early for our sunrise shoot of Mono Lake’s, South Tufa and then return to Lee Vining for breakfast and break. We will spend the afternoon exploring Bodie State Park inside and out. Day 3 - Tuesday: We will explore sunrise at Mono Lake from Panum Crater, then return to Lee Vining for breakfast and break. We will check out of our motel by 11:00 a.m. and begin our trip to Virginia City. We will explore Chemung Mine along the way and check into our motel in Carson City, have an early dinner, then visit the Silver Terrace Cemetery for a scary sunset to evening walk among the graves. Day 4 - Wednesday: We will sleep in a bit, have breakfast, then explore the American Flat Mill site, studying the remnants of a mill left to the graffiti artist of today. After lunch, we will tour sites in Virginia City including St. Mary’s Art Center, Gold Hill, Comstock Gold Mill, Fourth Ward School, Piper Opera House and take a ride on the Virginia and Truckee Railroad. Day 5 - Thursday: We begin our last day with a sunrise shoot of the Carson River. After breakfast, the workshop will conclude. This workshop emphasize field work, however we will have an orientation lecture on the first evening of the workshop. The weather in Lee Vining and Bodie in July can be warm in the day and cool in the evenings. Temperatures around Mono Lake and Bodie during the day average 80 F and 35 F at night. Virginia City and Carson City average 82 F during the day and 57 F at night. Workshop participants are responsible for their own lodging, meals and transportation. The town of Lee Vining features many lodging choices but we are staying at Lakeview Lodge Accommodations in Carson City may be found at Hotels, Motels, and B&Bs - Carson City Nevada Convention and Visitors Bureau or join us at InterContinental Hotels Group. We will often eat meals together, however you are free to join us or eat independently.